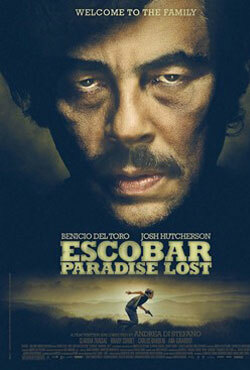 Plot - A Canadian surfer’s life takes a turn for the worst as the girl he has fallen in love with is niece of the infamous Colombian drug lord Pablo Escobar. Nick along with his brother takes off from Canada and set up a surfing camp on the beaches of Colombia. There, he meets Claudia and falls in love with her. Little did he know that Claudia’s uncle is Colombian drug trafficker and senator Pablo Escobar. After tension develop between Pablo and Nick, Escobar orders hit on Nick and local police under Escobar’s payroll hunts him. Awards & Nominations Won by "Escobar: Paradise Lost Movie"
Box Office Earning of "Escobar: Paradise Lost"